A much improved three bedroom home set within walking distance of Aylesbury train station and Aylesbury town centre- perfect for commuting. Property comprises entrance hallway, lounge, large kitchen/diner, porch, three bedrooms, upstairs w.c., separate bathroom and a rear garden. 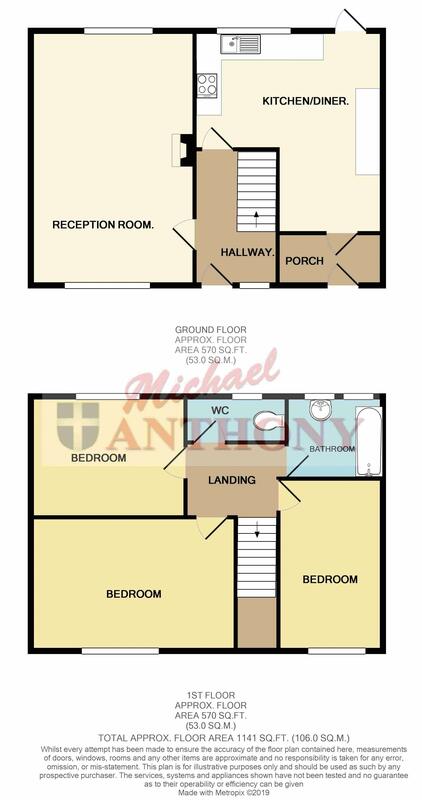 This would make an ideal family home, investment or first time purchase. This house must be viewed to be appreciated. Double glazed window to front aspect. Stairs to first floor landing. Radiator, door to inner porch. Range of base and eye level units with work surface over, four ring electric hob with hood over, built in oven, single drainer sink unit with mixer tap, integrated dishwasher and washing machine. Double glazed window to rear aspect, door to garden. Access to loft space. doors to airing cupboard, bedrooms, separate w.c. and bathroom. Two double glazed windows to rear aspect. Panelled bath with shower over, pedestal wash hand basin. Double glazed window to rear aspect. Low level w.c. part tiled walls. Slabbed area to front with flower and shrub bed border. Mainly laid to lawn with pathway to one side, flower and shrub bed, enclosed by timber panel fencing.